I was amazed sometime ago, when saw this model for the first time, so it has been in my post queue since awhile. 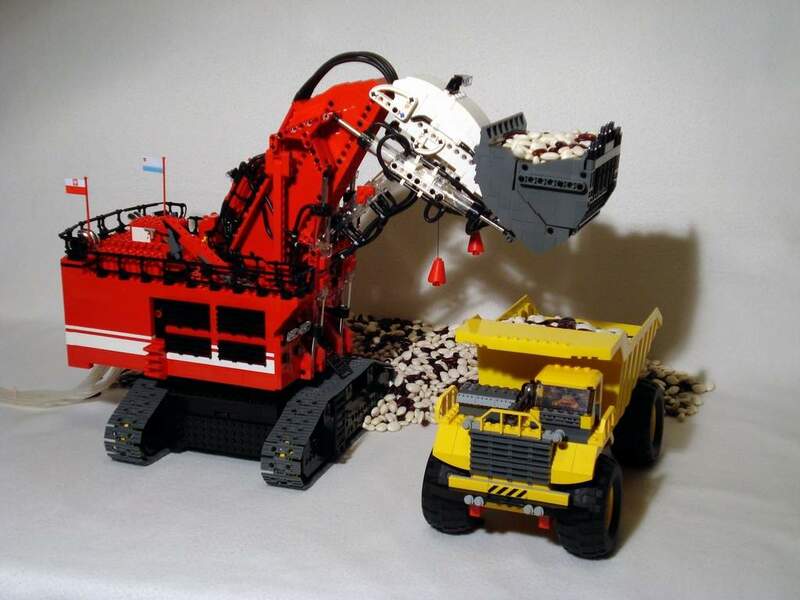 It is a 1:42 scale LEGO model from world's largest hydraulic shovel (Terex RH400) and a creation from the LUGPol member Zbiczasty. 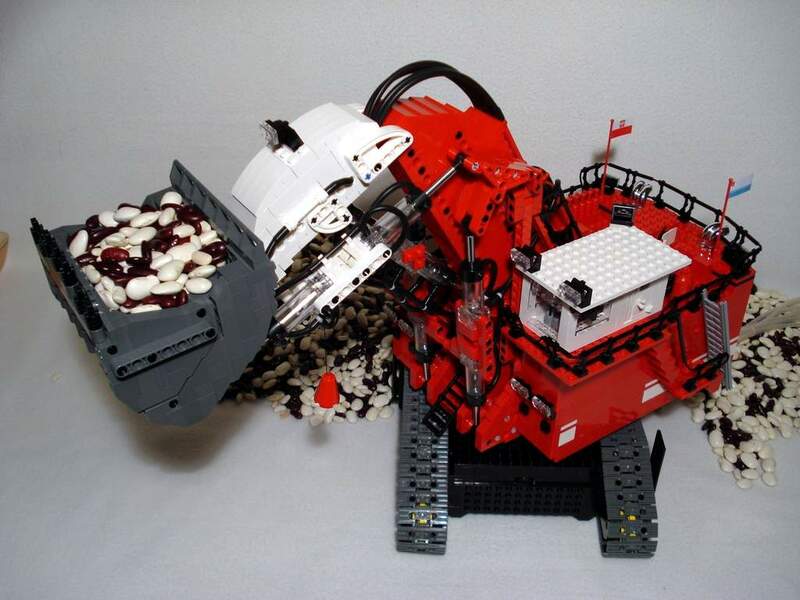 This 4Kg LEGO model is powered with 4 motors and 14 pneumatic cylinders, and reproduces quite accurately the original monster functions, as you can see from the video above. 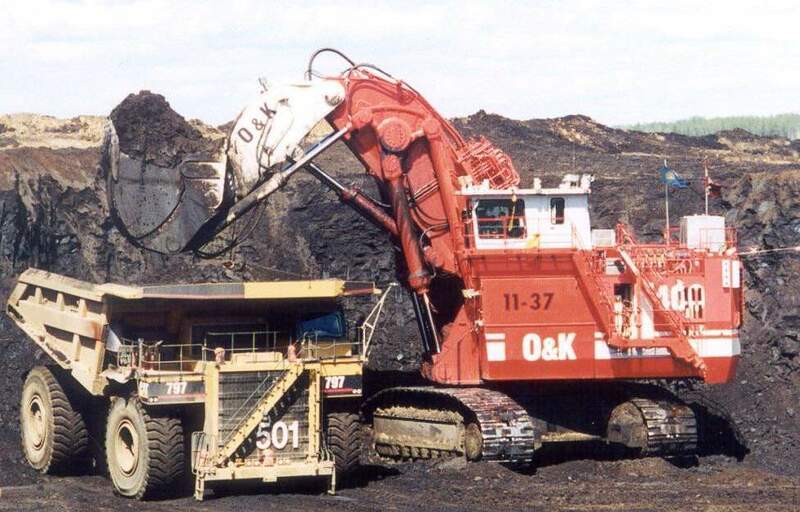 It features drive, steering, an impressive arm movements recreation and even the open/close shovel mechanism. You may find more images at Zbiczasty's BS folder, however lets enjoy just a few extra deeplinks below. 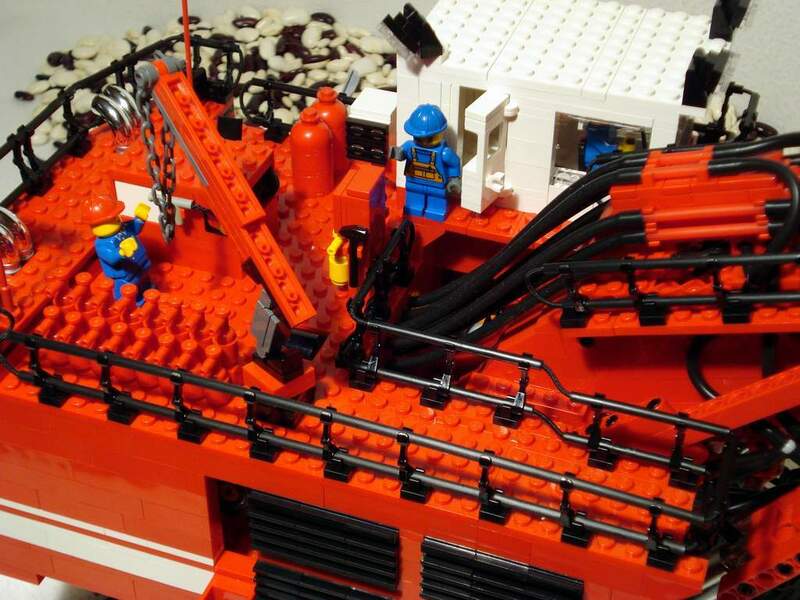 It's a great and faithful, both in looks and function, LEGO rendition, but, from the picture of the upper part, I can't help wondering if that "chicane" on the handrails near the arm was made without changing any LEGO pieces; it appears as LEGO rigid hoses were heated, stretched and bent. Are you kidding? Look at the high-rez version. The straight rails are tubes and the S-Bend ("Chicane") is made of a black rope inside the tubes. Ah yes, you're right, I didn't notice it was braided before! were do you get the pneumatic cylinders ? nice building by the way. 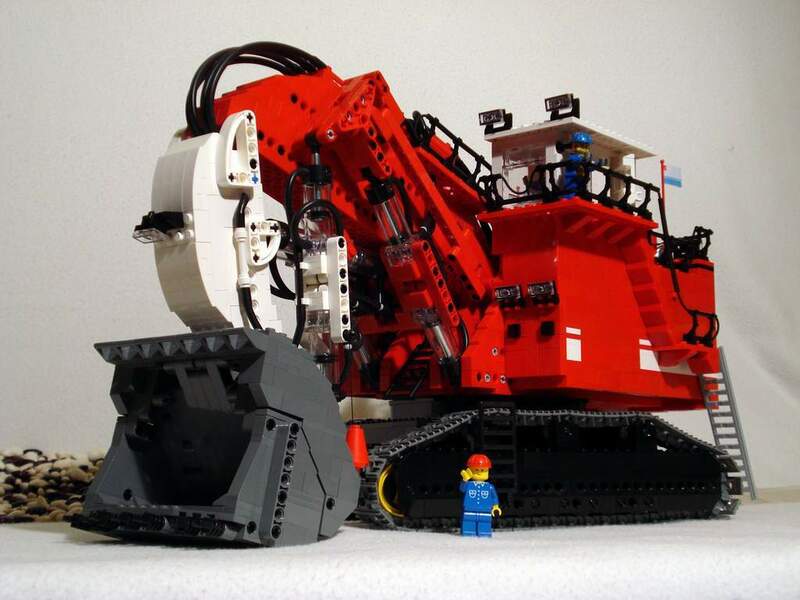 Most likely the author bought them through BrickLink. These in trans-clear were released in a set in 2001.